The Juggernauts of restaurant business down south has been so very impactful in evolving the overall business fundamentals, that there existed a need for creating a unique platform that will behave as the sponge of knowledge grasping and sharing. 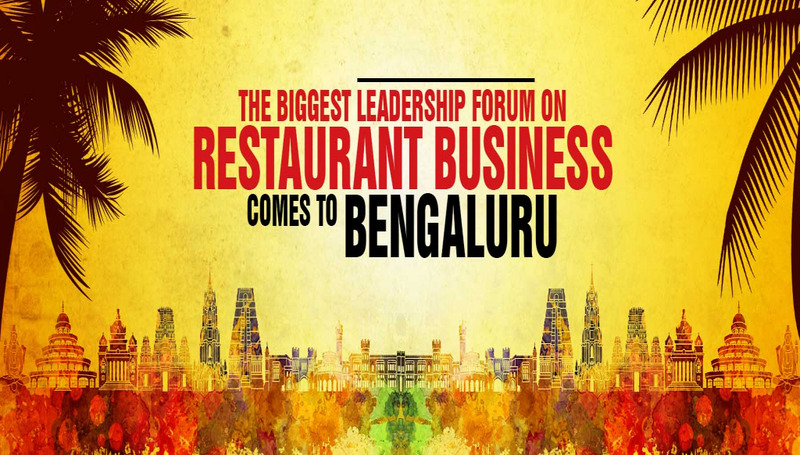 Restaurant India 2017 Bangalore is one such effort that will be aimed at initiating industry dialogues within peer groups. This single day event is exclusively designed to serve as the multi-disciplinary platform featuring a power-packed conference which will cover a wide range of topics crucial to discover growth paths. Also, there will be industry specific workshops to help the participants and patrons to identify newer business opportunities, discover ideas on how to scale and build successful brands and the role of technology in today’s dynamic times. Restaurant India 2017 Bangalore will provide a perfect opportunity for G-local brands and businesses to showcase their culinary concepts and Food and Beverage product innovations across themed exhibition pavilions specially designed keeping in mind the vast business needs. The key highlight of the show will be a reverberating awards night where the glimpses of success stories across Restaurant, Food and Beverage and Hospitality will be on the spotlight and the eminent people behind those will be honored. With presence of more than 200 stakeholders and key thought leaders from top restaurants and Food and Beverage brands from Indian and Global markets, the day will provide opportunities for patrons to debate, discuss, share, celebrate and network like never before.